First and foremost, at Carr & Co we understand that our work is about people. Sometimes because issues we are dealing with are difficult, you’ll need us to support you not only with the legal aspects of our working relationship but maybe as someone to listen to the often quite personal aspects of what you are experiencing. 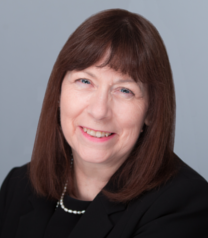 Valerie is a Senior Director at Carr & Co and specialises in providing advice on all aspects of Family Law as well as Will provision, Lasting Powers of Attorney and Probate. She qualified as a solicitor in 1981 (LLB Hons). 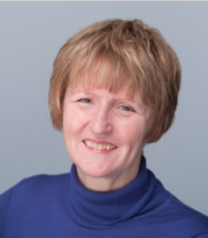 Valerie is a qualified Collaborative Lawyer, an alternative process to resolving family disputes and is also an accredited specialist on the Law Society Children Panel acting for children and family members in proceedings involving the Local Authority. She also has a keen interest in elderly client work and assisting clients in looking to how they can manage their future needs for themselves and their families. Valerie is married with two sons and lives at the coast. 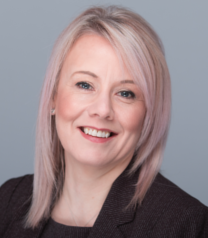 Sharon is a Senior Director at Carr & Co and offers a wide range of professional advice in all areas of Personal Injury and Accident Law including road traffic accidents and accidents at work. She also specialises in Will provision, Probate and Civil Disputes. Sharon qualified as a solicitor in 1990 (LLB Hons). Sharon is an accredited Specialist with the Law Society Personal Injury Panel and is a member of The Association of Personal Injury Lawyers. Sharon has developed a specialist knowledge in elderly client work particularly Local Authority Care and Powers of Attorney. She is one of the founder members of LWN (Living Well North) a group looking to promote a one stop holistic approach to care for the elderly. Sharon is married with one son and lives in Northumberland. Victoria is a Director at Carr and Co and specialises in Property law . She advises on all aspects of residential Conveyancing as well as Commercial Property transactions . She has experience in representing both Landlord and Tenants in both residential and Commercial Leases. She is Head of Conveyancing in the Firm. She qualified as a solicitor in 2008 (LLB Hons), but had previous experience in conveyancing for a number of years prior to qualification. Victoria can also advise on Wills and Probate. Victoria won a People Award at the ESTAS Conveyancer Awards 2018, being one of 3 conveyancers in the country to be awarded the ‘Highly Commended’ trophy based purely on customer feedback. She was thrilled to be presented with the award by Phil Spencer. She lives in Northumberland and has one son. 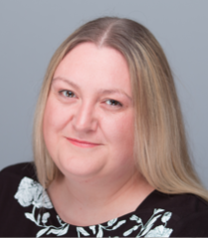 Colleen is our Conveyancing Executive at Carr & Co and deals with all aspects of buying and selling your home. Colleen has over 15 years experience and works closely with the other team members to ensure clients transactions run as smoothly as possible. Colleen is based at our Blyth office and lives in Northumberland. Emma is a Qualified Solicitor and family law specialist. She is committed to providing clients with professional and tailored support and advice on all aspects of family and matrimonial matters in respect of both private and legal aid matters. Emma is Resolution Accredited with specialisms in Advocacy in private law children proceedings and Public law children proceedings. Emma is based in our Gosforth office but travels between all three of our offices to suit our clients’ needs. 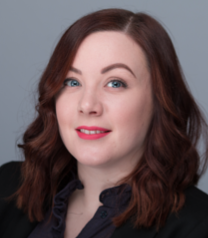 Emma qualified as a solicitor in 2015 LLB (Hons) and is a committee member of Resolution and the Women Lawyers Division. 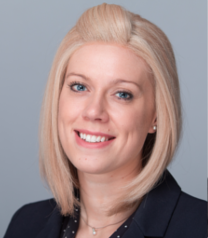 Caitlin qualified as a solicitor in 2018 and deals with civil claims, personal injury claims and probate. 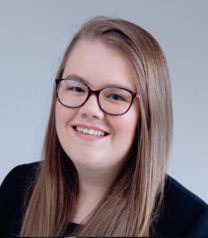 Caitlin graduated from Northumbria University in 2014 with a Master in Law (exempting) and is a member of the Newcastle Women’s Lawyers Division and the Newcastle Young Professionals Forum. She is based at our Blyth office. 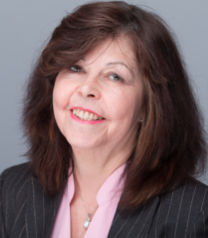 Carol Hornby is a Conveyancing Solicitor with a wealth of experience in residential and commercial conveyancing. Carol qualified as a solicitor in 2007 (LLB Hons). She is based at our Gosforth office. Alexa Wilson is a trainee solicitor based at our Morpeth office. She graduated from Northumbria University in 2017 with a Masters degree in Law (exempting). Alexa is also a girl guide leader. Geoffrey Lurie is a consultant for our firm who began working with us in December 2015. Geoffrey qualified as a solicitor in 1957. In addition to the above, you will have day to day contact with our experienced support staff who will be able to assist you with information gathering as needed and for general enquiries as to the progress of your matter. You will be informed as to who are the key personnel on confirmation that you wish us to act for you. All our staff work as a committed and enthusiastic team. All of them have input as to how we can continue to improve our service to you and develop the work taking into account IT changes and continuing changes in law and practice.